Rick Warren has captured the reality of our reason for living on earth. 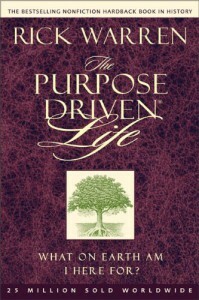 In his ground breaking book The Purpose Driven Life: What On Earth Am I Here For? (2002), he has demonstrated his profound understanding of humanity's calling. He vividly prepares us for the role that we have to play in this Divine process. Through a series of steps he has led believers on a journey of discovery. These are actual "baby steps" that each Christian should take to accomplish what he envisions to be a fulfilled life. Such efforts do not come easily. It calls for some hard work on the part of a believer. He will have to make some very tough choices as he overhauls his way of thinking about his Christian walk. A believer has to do much work about his own life plus he must be concerned about his church. It is essential that he learns the best way how to relate with his worship community. One thing he should do is to discover his gift and as a member of the body of Christ he must play his role and use it effectively. This will be the only way by which he will be fully able to contribute to the "One Body" of which Christ is the Head. 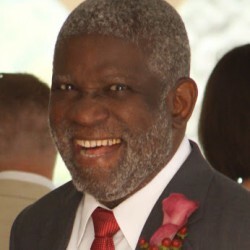 According to Warren when one reflects on the role of God in our life, he must remember that God is omnipotent. He is in, with, where, why and how of all things of our lives and we ought to see Him as such. The pastor of Saddleback Church advises us to surrender our all to God's Divine Providence and we will be sure to determine what we are here for in our life. Warren's book has a profound message for all believers. We cannot be lukewarm about Christ and hope to live a full purpose driven life. Such a life calls for the utmost commitment to our Christian faith. Such faith is noteworthy in one's walk, for it reaps God's full blessings in our daily life. These blessings will be a guarantee of God's promise of an eternal life. A life which will make all our trials and tribulations seem like little pricks as compared to what lies in store for us.